100% of funds raised through Campfires and Cocktails will directly support our annual summer camps and family events throughout the year, creating lasting support networks between families impacted by childhood cancer. Become a sponsor of this fabulous evening, gain recognition for your charitable efforts in the community, and give more local children the gift of camp in 2019! Recognition in all event-related social media posts. Three social media posts recognizing your generous contributions. Two social media posts recognizing your generous contributions. One social media post recognizing your generous contributions. Camp Casco, Inc. is a recognized 501(c)(3) nonprofit organization, ID #47-2125590. 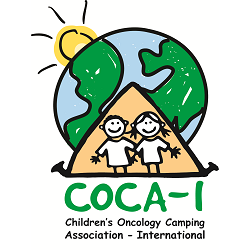 To become a sponsor, please send a check to Camp Casco, PO Box 330, Sudbury MA 01776, with sponsorship level designated in the memo, or pay online utilizing any of the links above. All sponsorship inquiries and company logos may be directed to sponsorships@campcasco.org. << Learn more about Campfires & Cocktails!